StarkSchenkein LLP of Denver announced that Manda Dinkel has been admitted director. 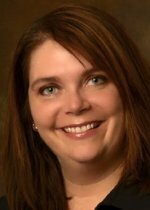 Dinkel joined StarkSchenkein in 2011 and has been in the accounting profession for more than 15 years. Currently, she manages the audit department and supervises seniors and staff in all aspects of the department. Dinkel works with a variety of clients, with specialization in non-profit audits and audits for publicly traded companies.